President Obama made a historic nomination on Wednesday—not to the Supreme Court but to fill the top post next door at the Library of Congress. 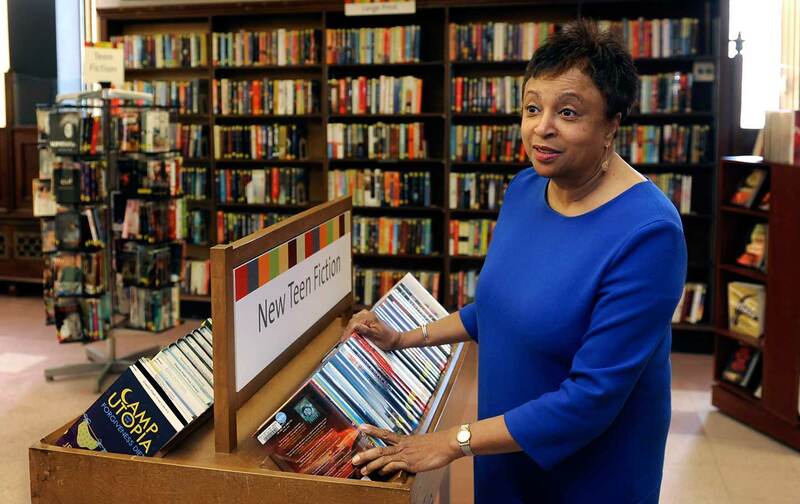 If confirmed by the Senate, Dr. Carla Hayden would be the first woman, and the first African American, to lead the 214-year-old library. She’s a career librarian, distinguishing her from the scholars that have traditionally been chosen for the post. She’s also a champion of privacy rights, and an outspoken critic of the Patriot Act. As president of the American Library Association in 2003 and 2004, Hayden went head to head with then–Attorney General John Ashcroft over the post-9/11 surveillance law. Librarians voiced some of the earliest warnings about its implications for civil liberties, particularly in regards to Section 215—known then as the “library records provision”—which the government later relied on to justify some of the dragnet data collection revealed by Edward Snowden. Ashcroft, attempting to stamp out opposition to the act, accused librarians of “baseless hysteria.” He earned a sharp rebuke from Hayden, who wrote that she was “deeply concerned that the Attorney General would be so openly contemptuous” of librarians. Ashcroft called her to apologize, though he continued to deny that the law was being used to snoop in the stacks. Hayden began her career in Pittsburgh and Chicago. Since 1993, she’s run the Baltimore public library system, where she made expanding access to broadband service and digital technology a priority. She oversaw the development of a major renovation plan for the central library, for instance, that will make room for a robotics lab for teens. Obama emphasized her tech savvy in his announcement, as one of her primary duties at the Library of Congress will be rethinking the role of the world’s largest library in the digital age. Numerous reports have faulted the institution and its previous head librarian, James Billington, for failing to bring the library up to speed. Most of the library’s 162 million books, recordings, maps, and other documents have yet to be digitized. Hayden will also be wading into a fight over the mission of the Copyright Office, which is currently under the umbrella of the Library of Congress.